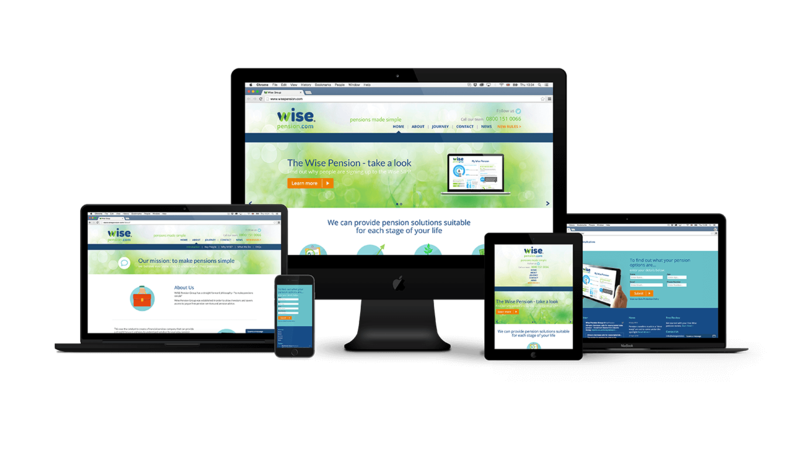 Wise Pension Group are a new startup offering objective personalised advice for clients planning retirement. Keen to simplify the process and focus on delivering their services online, Wise approached Above Digital to utilised all of their of creative services. This included defining and delivering the brand, logo design, social channels, printed materials and delivering their website which would act as a hub for all the online marketing activities. Above Digital worked closely with the Wise Management Team to fully scope their business requirements and design a bespoke solution using Microsoft’s Umbraco for the website Content Management System (CMS). The user centric design had to be trustworthy and easy to use, as well as be fully responsive so it worked well across mobile, tablet and desktop browsers. We provided a user-friendly CMS which enabled the business to update the website content themselves as the business grew. 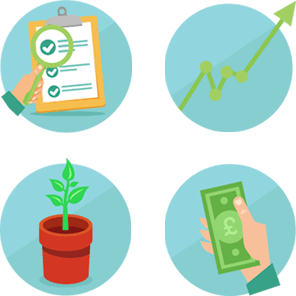 Above setup and help to manage the social channels, optimised the website SEO and are on-hand to advise on future enhancements, online marketing and statistics. The end-result was a website which guided new clients through the relevant product benefits, capturing their data to help dedicated call centre teams manage future requirements. 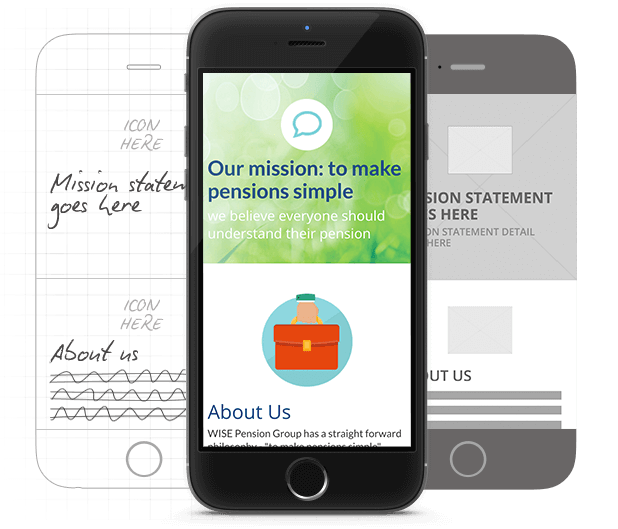 For Wise Pension the website delivered the new branding and made sure all the key information and calls-to-action where easy to find – keeping the potentially complex world of pensions simple.